JUNE MAR Fajardo showed he’s only human. 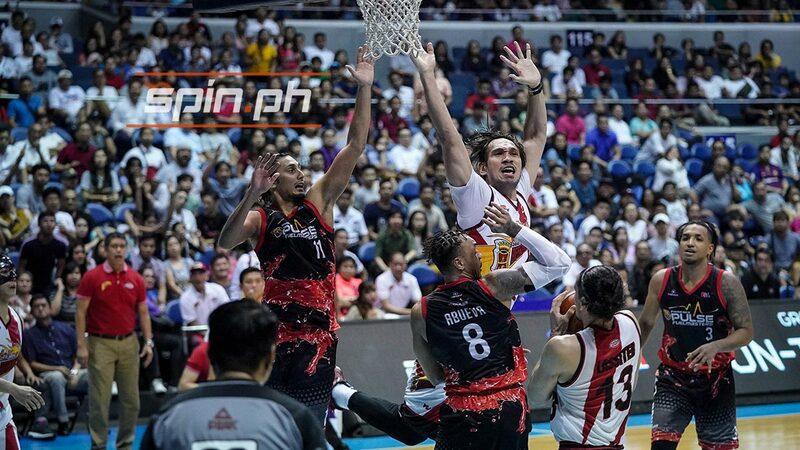 The usually calm San Miguel star admitted getting miffed by the physical plays being employed on him by Phoenix which came aplenty in Game Two of the PBA Philippine Cup semifinals Monday night. But he’s applying self-restraint, knowing the Fuel Masters would have succeeded in their mind games if he allows their antics to get to his head. “Nagtitimpi lang ako kanina kasi pag pumatol ako sa physicality, parang mawawala ako sa game. Kaya tina-try kong mag focus sa game,” said Fajardo, who was battled alternately in the post by Phoenix big men Justin Chua, Doug Kramer, Jason Perkins, and even Calvin Abueva. The five-time MVP kept his cool and punished the Fuel Masters with his imposing presence inside by dropping 19 points and grabbing 18 rebounds in San Miguel’s bruising 92-82 win at the Smart Araneta Coliseum. “As much as possible kailangan kong umiwas. Hindi naman umiwas, hindi ko na lang papatulan,” Fajardo added. Fajardo saw frontcourt partner Christian Standhardinger get tossed out of the game in the second quarter following a flagrant foul two committed against Abueva. Without Standhardinger alternating with him at the post, Fajardo had to endure by his lonesome all the banging and physicality inside. “Kailangan namin si Christian lalo na sa endgame,” said the 6-foot-11 Fajardo, who scored 10 points in the third quarter when the four-time champion finally pulled even with the Fuel Masters after trailing by as many 12 points earlier. Fajardo expects an even more intense battle in Game Three on Sunday especially with the Fuel Masters now down 0-2 in the best-of-seven series. In the end, the good side of June Mar still prevails. “Nagpapasalamat ako kay God na walang na-injury although grabe yung physicality sa loob, walang seryosong nasaktan,” he said.